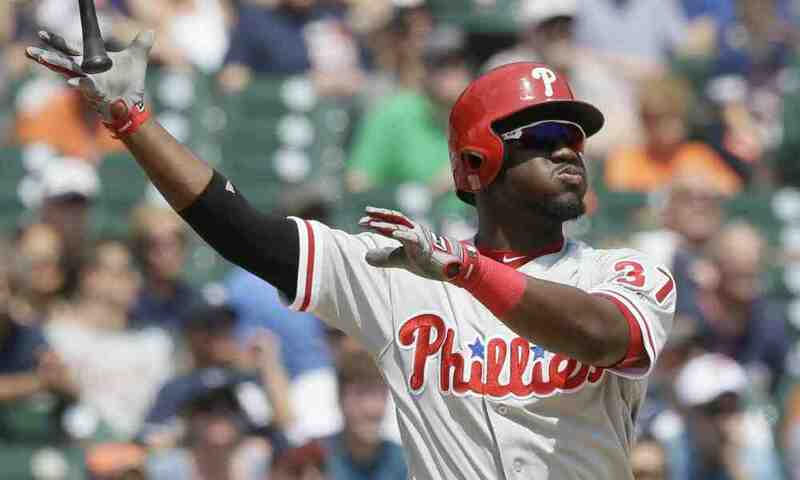 PHILLIE HERRERA’S HIT STREAK AT 20, MLB BEST THIS SEASON! Odubel Herrera extended his hitting streak to 20 games last night with a double to left-center field in the Phils’ loss to the Nats. 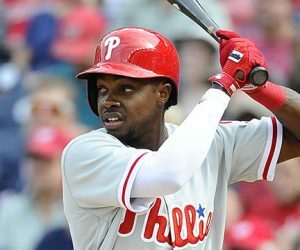 It is the longest hitting streak in baseball this season and the longest hitting streak by a Phillies player since Chase Utley’s 35-game hitting streak in 2006. 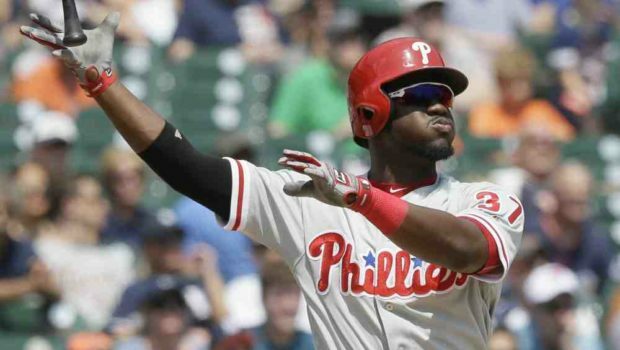 Jimmy Rollins holds the franchise record with a 38-game hitting streak from 2005-06. 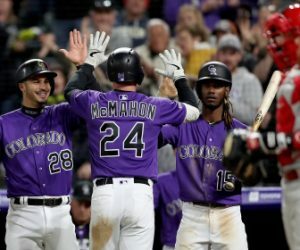 Herrera’s streak started July 28 against the Braves. It reached 17 games before he strained his hamstring Aug. 14 in San Diego. He landed on the 10-day disabled list and was activated Monday. Herrera entered last night’s game hitting .343 with a .960 OPS in 266 plate appearances since June 3. 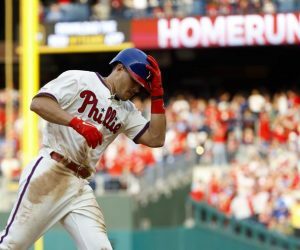 Previous NATS RALLY TO GRAB OPENER FROM PHILS 4-3! Next PENN STATE-PITT IS A RIVALRY THAT SHOULD NEVER DIE BUT WILL!